Leon County Library Lecture Series - "The Pathway to Freedom"
Join Leon County for the continuation of the 2018 Leon County Library Lecture series on Monday, May 14, at 7 p.m. at the Dr. B.L. Perry, Jr. Branch Library, 2817 S. Adams St. The lecture titled “The Pathway to Freedom: Florida A&M University’s Role in the Black Freedom Struggle”, will take a look at the fundamental role that FAMU played during the civil rights era. This lecture will also examine early black political movements during the civil rights era as FAMU served as the educational anchor of the black community during the late 19th and early 20th centuries. Presented by Dr. Darius J. Young, the lecture is a part of the Annual Festival of Freedom, a month long commemoration of the first reading of the Emancipation Proclamation in Tallahassee at the Knott House on Park Avenue. Dr. Young is an Associate Professor of History at Florida A&M University and his research focuses on the early civil rights movement with an emphasis on black political movements during the first half of the twentieth century. You can find everything you need to know about all of our great programs by going to the library's calendar. Click here! Here's a sneak peek of what's coming soon! Browse our entire collection at www.LeonCountyLibrary.org for more great picks. In most cases you can place a hold before the book comes out! Are you making plans for summer travel? Do you like to listen to audiobooks on a road trip or read on a long flight or with a view of the beach or mountains? Your library card can make it easy for you to take more than a few books with you—on your e-reader, Kindle, tablet or phone. With your library card, you can download ebooks as well as audiobooks from the library website. The library provides a wide selection of titles and you're sure to ind several you'd like to read. You even may be interested in downloading a travel guide for the place you plan to visit. On the library website, www.LeonCountyLibrary.org, click on “Downloadable Media” in the left-hand column. 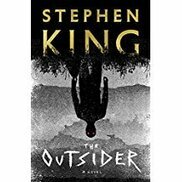 Look for “Overdrive” (includes books for Kindle) or “RB Digital.” Call your favorite library branch if you have questions, and you can even make an appointment for one-on-one help from a librarian. May 29, kicks off the "Best Week Ever": the LeRoy CollinsLeon County Public Library System Summer Reading Program! 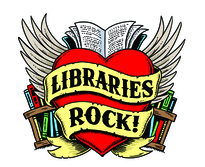 The Summer 2018 Reading Program theme is “Libraries Rock” and all libraries will host programs featuring music, magicians, drummers, dancers, and amazing animals from May 29 until June 3. Add your name to the wall of musical notes at each location to show reading is fun in the summer! Brain muscles need to be exercised just like our arm and leg muscles, so make a plan now to prepare for the next school year by reading 15 minutes every day this summer! Monday Nights @ Main will offer fun at 6:30 p.m. beginning on June 3 until the last Monday in July. Story Times for elementary aged students will continue at the normal times throughout the summer. Teens will have their own fun every Thursday at 6 p.m. at the Main Library with mystery mayhem, yo yo instruction by Spencer Davis, Secret Hollow books, and more. Stop by your nearest public library to hear some music while picking up a reading record and summer flyer. Check the online calendar for more information. The 2018 Summer Reading theme is “Libraries Rock.” So what better way to celebrate than by making your own music? One of the library’s newest downloadable resources, ArtistWorks, is a collection of video music lessons taught by professional musicians. ArtistWorks provides easy-to-follow lessons for voice and numerous instruments. These lessons cater to all levels of expertise from learning fundamentals to honing advanced-level skills. Kick off your summer by learning to strum the ukulele or freshening up your jazz bass technique. To access ArtistWorks, visit the downloadable media page on the library’s website (www.LeonCountyLibrary.org) and click on “ArtistWorks.” This resource can also be accessed through your RB Digital app (available free on your mobile device’s app store). ArtistWorks can be used anywhere there’s an internet connection; all you need is your library card. Library staff members are happy to assist you with this resource. Have a musical summer with ArtistWorks! The wonderful Dr. B. L. Perry, Jr. 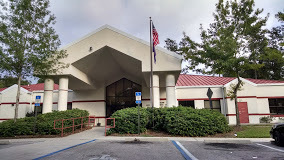 Branch Library is located at 2817 South Adams Street, directly across from Tallahassee’s Main Post Office. Built in 2001, the library was named after Dr. Benjamin L. Perry, Jr., an avid reader, library supporter and former president of Florida A&M University from 1968 to 1977. A valued and well-used resource for area citizens, the Dr. B. L. Perry, Jr. branch has 50 computers for public use. It is not uncommon to see all 50 computers in use—especially during the summer! The library is an asset to all ages, a lifelong resource, with books, movies, music, and more. Some of our offerings for our younger patrons include story times on Tuesday evenings at 7 p.m., which we call our Bedtime Story Time, as well as a story time program on Friday mornings at 10 a.m. The branch also offers LEGO Builders club every 2nd and 4th Wednesday, as well as a board games program every 1st and 3rd Wednesday. The branch also houses an extension of the Literacy program taught by a well-known library staff member, J. Alden Field. The Family Learning Center offers free adult basic reading, writing and math tutoring for parents and their children who are struggling in school. The program also offers job skills training, GED tutoring for adults and computer assistance. The branch also has four study rooms; two are reserved for the Literacy Center’s use, while two are available for public use on a first-come, first-serve basis for an hour at a time free of charge. The library also has a Program Room, with the capacity to 75 people. The program room may be reserved online through the library’s website, over the phone, or in person. The library is also proud to do our part during elections, being an early voting site for the community. If you happen to stop by our branch, our talented staff will be glad to assist you. Brenda, Daria, Eleanor, Kaleigh, Karen, Imtiaz, Naomi, and myself are here, ready and willing to help. Please stop in and say hello; we’d love to show you just how wonderful your library really is! Each newsletter we include a story from one of our staff about how they enriched their own and our patrons' well-being by going the extra mile. A man would come in regularly and work on his resume and job applications. I helped him by answering questions and assisting him in filling out the needed forms. One day he came in with a big smile on his face and shook my hand saying he wanted to thank me. Thanks to my help, he was able to get a job. I felt great, especially knowing he had a family to support. Update your subscriptions, modify your password or e-mail address, or stop subscriptions at any time on your Subscriber Preferences Page. You will need to use your e-mail address to log in. If you have questions or problems with the subscription service, please contact subscriberhelp.govdelivery.com. All other inquiries can be directed to govdelivery@leoncountyfl.gov. This service is provided to you at no charge by the Leon County Board of County Commissioners.